 Why Consistency Matters for Reports - ONRAD, Inc.
DiagnosticImaging | Reliability is a fundamental part of quality. Consumers rely on their favored brands, and go back again and again to use them. Why? Because they know exactly what they will get, how to use them and where to find all the working parts, whether it is their Big Mac, or their BMW. My radiology colleagues often bristle when I mention having uniform reports. They seem to think this means uniformity of thought. But that is far from the intent of using templates for dictation. It creates reliability..internally and externally. It’s easy to overlook things when you are busy. We are all aware that are errors, especially omissions, occur when we are most busy or distracted. Having a method to follow means you are less likely to do so. Perhaps more importantly, the reader (i.e. your customers!) knows exactly where to find what they are looking for. Clinicians are busy and are often frustrated when they have to look in different places for the information they find relevant, from report to report. When new members join your group, they are integrated seamlessly. An old referring physician, who sees a new style of dictating, is inclined to be skeptical. Using the standard, the new member is quickly integrated into the group. It insures that all relevant information is included. So what does your clinician want in the report? Whatever they think is relevant. you can approach this one of two ways in my mind. You can be comprehensive or you can discuss this with your clinicians and tailor your report. Especially when you have just a few readers for a particular referring physician, you can tailor it. It becomes harder when you have numerous people reading. So you may only do this for specific sub-specialties. Importantly, an ordered report looks professional. Clipped sentences or brief, block paragraphs tend to look disorganized. They amy have all the important information, but that look alone can undermine your credibility. Moreover, you can be faster when you have a template to follow. It may also make your transcriptionist quicker, as they know what to include. Or if you are using voice recognition, it is well known that templates speed dictation. It may narrow a knowledge gap between subspecialists and generalists. If you spend time thinking and talking about what to include in your templates, your specialists can educate about why those items are included or relevant. It’s not a fellowship, but it is an education, and an opportunity to improve quality. It does not have to be one size fits all. Tailor the reports for individual referring physicians or for indications. This only serves to further demonstrate your knowledge and understanding of clinical issues. So uniformity in dictation is about producing a reliable, quality product. Within the structure of the template, each radiologist still includes their own style and content. But each referring physician knows exactly where to find the information they need.